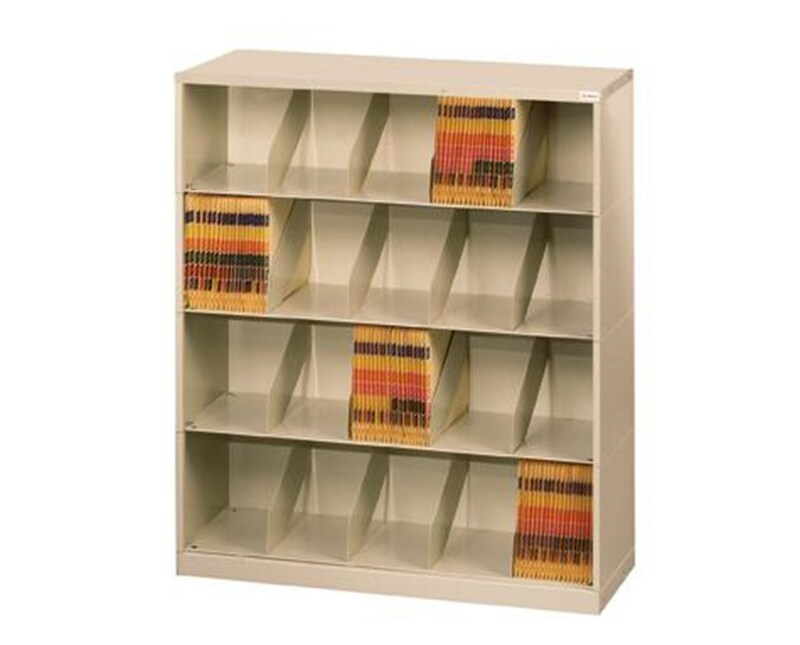 Space-efficient, open shelf modular document storage solution with 4 tiers. Welded fixed dividers keep files neat and provide easy access. Choose from 5 shelf widths: 24", 30", 36", 42", or 48". Made in the USA from durable powder-coated steel, for a lifetime of use. Modular design is fully expandable and customizable for your office or clinic's unique storage requirements. Select Width 24" 30" 36" 42" 48"
The Datum ThinStak™ is the ultimate in space-efficient, customizable, and expandable open shelf medical filing systems! The Datum ThinStak™ features Letter-sized tiers with welded fixed dividers, designed specifically for medical document storage. Durable textured, powder-coated steel construction means a lifetime of use. All Datum products are backed with a Lifetime Warranty. The Datum ThinStak™ is available in 5 widths, and 19 standard colors, to match the decor and workflow of any professional medical environment. Datum offer more sizes than any other manufacturer: Choose from 24", 30", 36", 42", or 48" wide shelves. Then select the width from the drop-down list above. It's that simple! One of the great things about the ThinStak™ system is that you can mix and match different heights and widths, to make the most efficient use of your valuable filing space. The Datum ThinStak™ system comes in any of 19 standard colors, to match virtually any office or clinic decor. Check out the 19 colors in the ThinStak™ color chart, and pick the one you like best. Then simply enter the color name and number in the Special Instructions field when you check out. All ThinStak™ 4-tier units measure 43" high, and 13-3/16" deep. The ThinStak™ is designed to "grow as you go". The ThinStak's modular design means it's fully expandable - add more units as your capacity requirements increase. Individual tiers can be stacked to create custom, modular solutions to match your office's unique storage space dimensions. The Datum ThinStak™ system is compatible with the full line of Datum filing products and accessories, which means it's ready to grow as your storage requirements change. Whether you need a locking Datum TambourDoor™, for secure HIPAA-compliant storage, or the increased storage efficiency of the mobile Datum TrakSlider® systems, all ThinStaks™ are pre-designed to accomodate the full family of Datum options. Contact one of our friendly, knowledgeable customer service representatives about additional customization options and for assistance with creating your own unique open shelf filing solution! 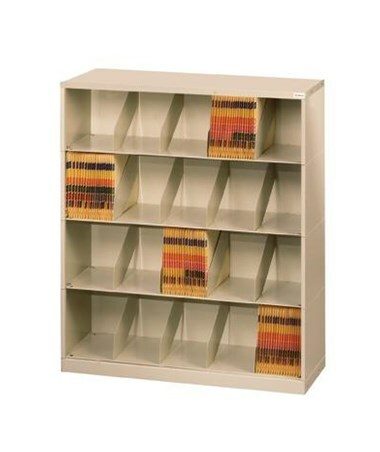 Open shelf design provides easy and immediate access to records. 4 Letter-depth tiers with welded fixed dividers. Thin shelf profile maximizes vertical space. Product Weight 24" - 70lbs. ; 30" - 86lbs. ; 36" - 93lbs. ; 42" - 107lbs. ; 48" - 117lbs. 2" base and 1" top.